My friend Jill turned me onto designer fabrics. Until recently I thought my TJ Maxx pillows were just fine. But holy cow, when you throw in some designer fabrics, everything comes to life! I started loving this betwixt print when I saw Holly's pillows. Then Jill bought some so I had to hop on that train too. Enter SPARK MODERN on etsy. Can you see why I have such a crush on them? 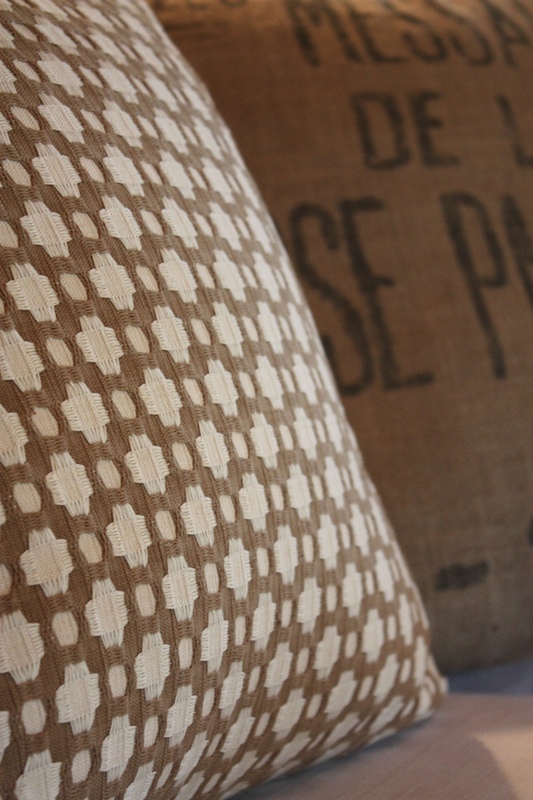 Not only is the fabric gorgeous, but the quality of the pillow covers is stunning. 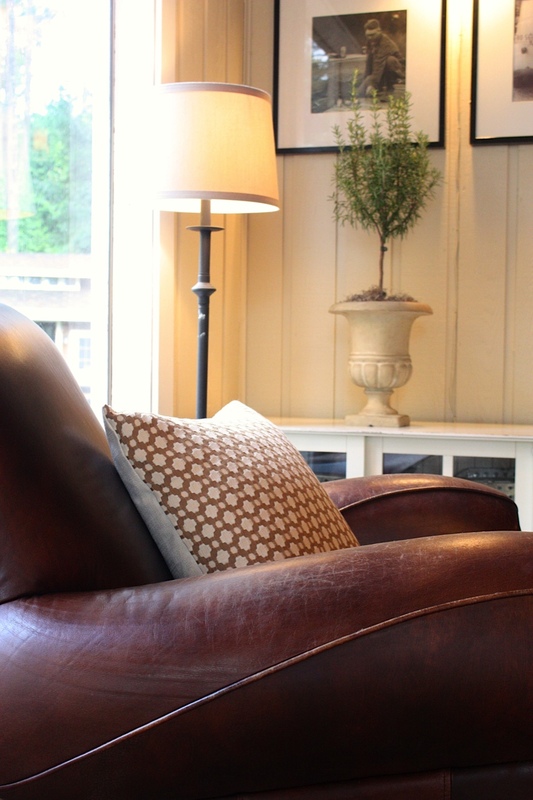 I ordered 2, and for now, one is on my sofa, and the other on the leather club chair. 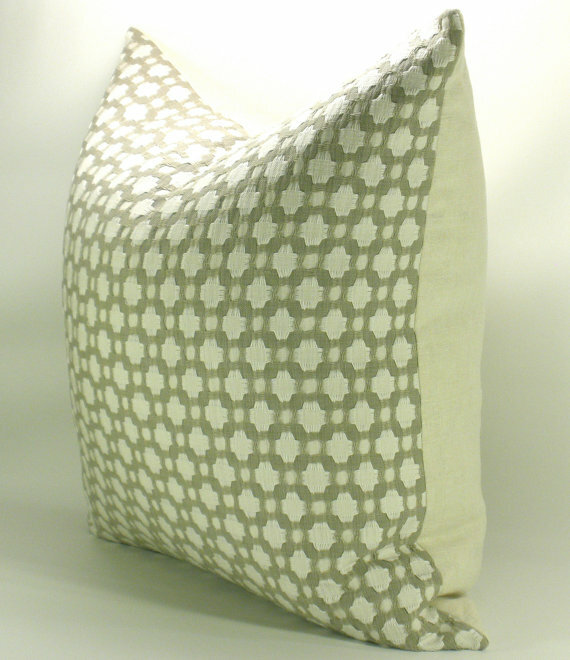 and is offering one of my readers a pair of betwixt 20" pillow covers in the "stone" color way. Please visit Spark Modern on etsy through the link on the left hand sidebar., and "like" their shop. Leave me a comment on this post letting me know you did so and you will be entered. Only 1 comment per person please. You do not need a blog to enter, just be sure to leave your email address. I will pick a winner via random.org and announce back here on Friday! I decided to continue my black friday sale through cyber monday, so everything is still 40% off in my etsy shop folks! Trying to get a clean slate for a new look in my shop! Good morning. I liked (favorited?) Spark Modern on etsy, and I really do like the shop! Such cute pillows. And oh wow, I have loved Betwixt for awhile now...love how they look in your room. Gorgeous! I will go like hem right now. I have been in love with that pattern for a long time! I have gone ahead and "liked" them! So many pretty patterns! Thanks for the giveaway, Melaine. I'm crushin' on the betwixt pattern. It's a "Like"! Thanks for the giveaway! So many pretty pillows on their site! Love them! I "like" Spark Modern on FB and added them to my favorite shops on Etsy. So many delicious designs! Thanks for the offer. Just got done "liking" them!! I "liked" them. I will definitely be ordering some pillows from them. Gorgeous. I "favorited" their shop. These are the exact pillows I've been wanting, it would be great to win them! I've been obsessed with this print for a while, but just haven't splurged. Would love to win these pillows!! I made Spark Modern one of my "favorites" on Etsy. 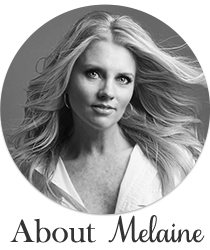 Thanks for this opportunity Melaine!! Oh my goodness!!! 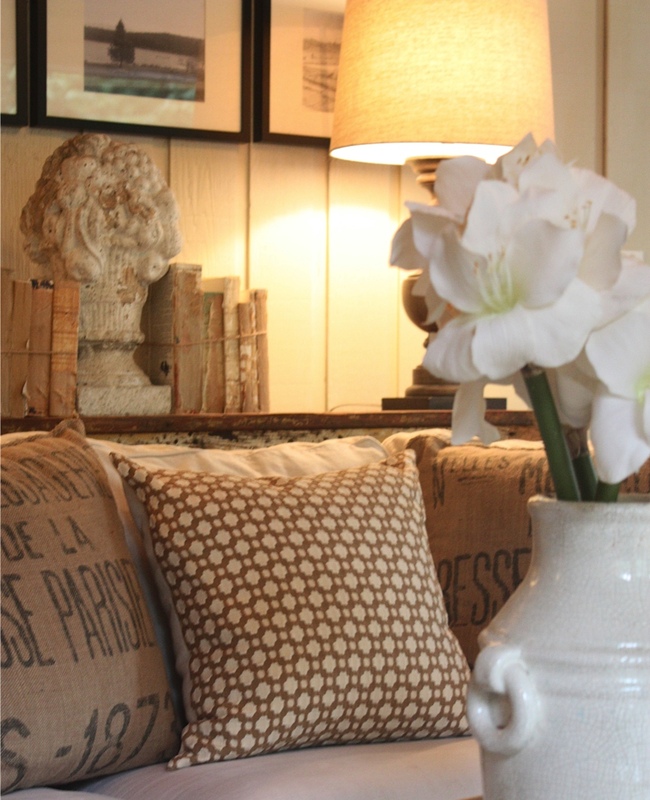 I have had my eye on these pillows and this fabric ever since I saw it on Holly's site--absolutely loved her pillows!! I think it goes with so many other things--almost a "neutral". Can't tell you how much I would love these! PS--Is it ok if I email you my email address IF I were to be so lucky to win? The pillows are great! Love the betwixt fabric. I added Spark Modern to my favorites list. Oh I live Betwixt! So pretty! Made Spark Modern a favorite on Etsy! Wow. Gorgeous pillows! I liked them on FB. Liked but really I wish their was a "love" button. I adore those pillows!!! Generous giveaway!! Love your new pillows! They are perfect in your room. I would love to win one. Actually stone would be the perfect color choice for me too. Please sign me up! I liked their website too. Love these! I "Liked" Spark Modern. Thank you for the chance! I love those pillow covers they look great in your room! Liked their shop on etsy. I don't think I'll ever tire of the Betwixt pattern. Thank you for the great giveaway! Gorgeous pillows! I added their shop to my favorites on etsy. Love the Schumaker fabric and the pillow 'Nebaha Embroidery'. I liked them on FB. definitely favorited them on etsy! I LOVE this print!! Really nice pillows! I love them! Love the pillows ... beautiful! Thank you for the chance to win! I love the pillows and could look all day at the beautiful graphic designs and colors. Liked them and also following them. Like and Love them! Beautiful and unusual fabric choices. Will definitely keep in my favorites. Thank you Spark Modern! Fingers Crossed! Oh, those pillows on Spark Modern are gorgeous. I'm in love with the Kasari Ikat. I liked Spark Modern! Yes love the pillows!!! I saw several I like too. Love them! Wish me luck! Not only did I "like them" I love their pillows! Great pillows, "favorited" the shop on Etsy...fingers crossed! 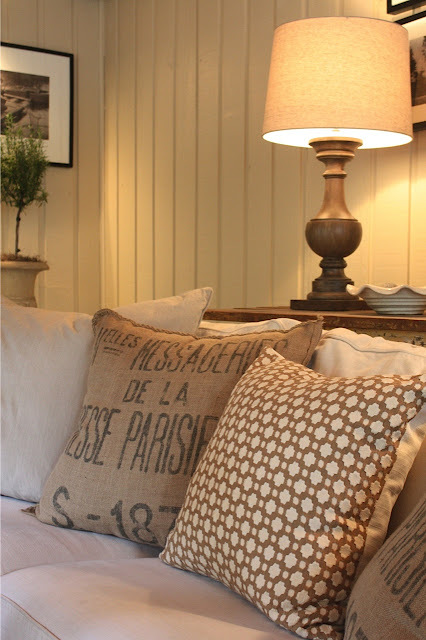 I simply love love love the pillows! Not because you are giving some away...but simply because they are gorgeous! I also have an etsy shop and I see I need to sell some more of my vintage things and replace them with a few Spark Modern pieces! I liked them on etsy, by the way and made them a favorite now, too! Thank you for offering these fantastic accents! I am in love with the Betwixt pillows!. I added them to my favorites on ETSy. Such beautiful work. Wonderful selections and sounds like top notch quality! Beautiful pillows. I liked the shop on etsy! I love the pillows. Thanks for sharing. These pillows are so awesome....I liked their shop. I hope I win! These pillows are beautiful and would look great in my house. I liked them on Etsy. Santa do you hear me?! "liked" The pillows are gorgeous! Love the pillows, especially in biscuit.Liked them on Facebook. Where did you find your lamps shown behind your sofa? tour house is beautiful! Love the reindeer from World Market!